As we approach February 14, the opportunities for learning about white feminism abound. The recent dust up with Rosie O’Donnell on Twitter began with questions for Eve Ensler – who was scheduled to appear on The View – and O’Donnell’s subsequent defensive response to those questions. But, to really appreciate the context of what happened, you have to understand the background on V-Day, indigenous women’s activism, and the substantial critique of Eve Ensler’s work. For more than 20 years, Indigenous Women in Canada have led Women’s Memorial Marches to signify the strength of decolonization and the power of Indigenous Women’s leadership. Known as the “Memorial March for Missing and Murdered Indigenous Women” (#MMIW), the commemoration has its origins in tragic events of January 1991 a woman was murdered on Powell Street in Vancouver, Coast Salish Territories. Her murder in particular acted as a catalyst and February 14 became a day of remembrance and mourning. We love the idea of using Valentine’s Day to talk about what respect and consent look like and how we can stand up against sexual violence. However, due to the mistreatment and disrespect of women of color, indigenous women, and queer women by Eve Ensler and the V-Day campaign, we can no longer support her work. This all started because on Twitter, I addressed some issues that I had with V-Day, your organization, and the way it treated Indigenous women in Canada. I said that you are racist and dismissive of Indigenous people. You wrote to me that you were upset that I would suggest this, and not even 24 hours later you were on the Joy Behar Show referring to your chemotherapy treatment as a “Shamanistic exercise”. 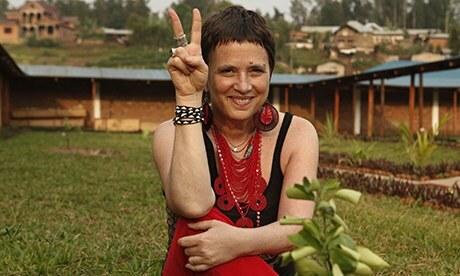 The “Shamanistic exercise,” refers to the fact that Ensler was diagnosed with cancer and traveled to Congo, in central Africa, to seek alternative healing. She wrote a book about her experiences called, In the Body of the World. In it, she refers to her cancer as similar to the injuries of women who had been raped, referring to it as “Congo Stigmata,” which of course, became a popular hashtag. For everything wrong with this bit of cultural appropriation, see this Storify by Mikki Kendall, or this piece by Jude Wanga, or this recap by Kelly Bennett. Your organization took a photo of Ashley Callingbull, and used it to promote V-Day Canada and One Billion Rising, without her consent. You then wrote the word “vanishing” on the photo, and implied that Indigenous women are disappearing, and inherently suggested that we are in some type of dire need of your saving. You then said that Indigenous women were V-Day Canada’s “spotlight”. V-Day completely ignored the fact that February 14th is an iconic day for Indigenous women in Canada, and marches, vigils, and rallies had already been happening for decades to honor the missing and murdered Indigenous women. You repeatedly in our conversation insisted that you had absolutely no idea that these events were already taking place. So then, what were you spotlighting? When Kelleigh brought up that it was problematic for you to be completely unaware that this date is important to the women you’re spotlighting, your managing director Cecile Lipworth became extremely defensive and responded with “Well, every date on the Calendar has importance.” This is not an acceptable response. When women in Canada brought up these exact issues, V-Day responded to them by deleting the comment threads that were on Facebook. For a person and organization who works to end violence against women, this is certainly the opposite of that. Although I’m specifically addressing V-Day, this is not an isolated incident. This is something that Indigenous women constantly face. This erasure of identity and white, colonial, feminism is in fact, a form of violence against us. The exploitation and cultural appropriation creates and excuses the violence done to us. When I told you that your white, colonial, feminism is hurting us, you started crying. Eve, you are not the victim here. This is also part of the pattern which is a problem: Indigenous women are constantly trying to explain all of these issues, and are constantly met with “Why are you attacking me? !” This is not being a good ally. Lauren Chief Elk speaks the truth and Ensler’s work is a clear illustration of the trouble with white feminism. I’m a feminist and a prison abolitionist. I have previously mentioned that there was actually a time when prison abolition was a feminist concern. Times have changed and it’s more likely that you’ll find feminists calling for more & longer prison sentences than for an end to them. One Billion Rising for Justice seems to want to hew to some feminists’ histories of resisting the carceral state. Unfortunately, it falls way, way short. Indeed, it does fall way, way short. I’ll be back with more about Rosie’s defense of Ensler in a subsequent post in this series. ~ This post is part of a series, The Trouble with White Feminism. If you’re new here, this is the fifteenth post in an on-going series I began in 2014. To read the previous entries, begin with the initial post and navigate through using the “Read next post in series” link. I’ll eventually compile all these into an e-Book, for ease of reading. If you have suggestions for what to include in the series, use the contact form on this blog, or hit me up on the Twitter machine: @JessieNYC. Today is February 14, traditionally marked as Valentine’s Day. For more than 20 years, Indigenous Women in Canada have led Women’s Memorial Marches to signify the strength of decolonization and the power of Indigenous Women’s leadership. Known as the “Memorial March for Missing and Murdered Indigenous Women” (#MMIW), the commemoration has its origins in tragic events of January 1991 a woman was murdered on Powell Street in Vancouver, Coast Salish Territories. Her murder in particular acted as a catalyst and February 14 became a day of remembrance and mourning. This year marches are held across the lands and each march reflects the nuances and complexities of the particular region with the common goals of expressing, community, compassion, and connection for all women. February 14 marks a day to protest the forces of colonization, misogyny, poverty, racism and to celebrate survival, resistance, struggle and solidarity and to make visible these forces and women’s resistance. In my view, Lauren Chief Elk speaks the truth here. Her critique of Ensler’s work is a clear illustration of the #troublewithwhitewomen I have been attempting to articulate in the Tuesday series. Indeed, it does fall way, way short. 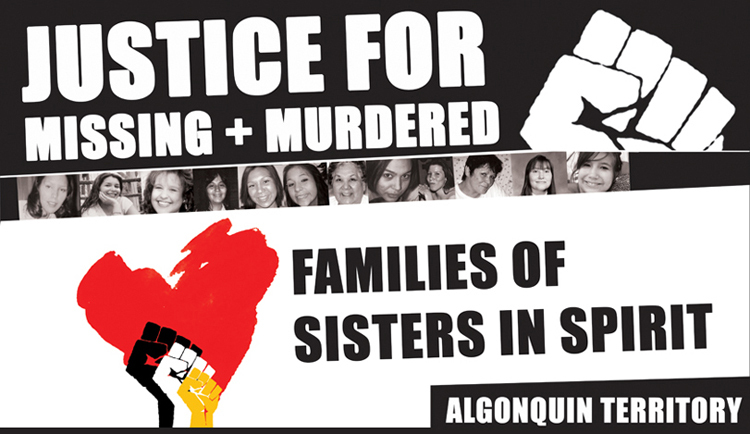 Today, I stand in solidarity with indigenous women, #MMIW marches, and against the rise of carceral feminism.